There’s a point where rock stars and pop stars assume they are so important that they can be identified by forename alone. * Mariah, * to name but a few. Now add _Lenny to that list. Oh him, you say, as you pick it out of your head. Turns out he did need a surname after all, because he hasn’t done anything to deserve the superstardom, except, well, soundtrack an advert and gone to number one. Christ, even Flat Eric’s done that. Flat Eric doesn’t simply go by the name “Flat” nowadays tho’, does he? 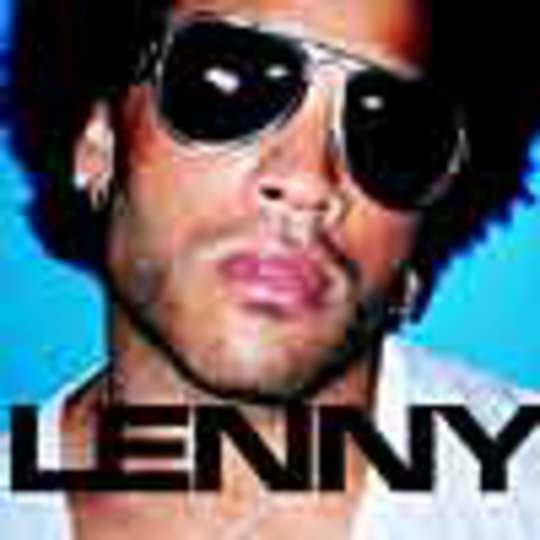 Well, anyway, now that Lenny (ahem) has a new album out, lets see what its like. Oh hang on… Have you heard any Lenny Kravitz ever? Well, you’re bound to, and this is no different. Except a minor update with a drum machine on one or two tracks, this is nothing new. In fact, its so nothing new, its permanently stuck in 1974, like the Stereophonics (sorry, did I say Stereophonics, I meant the Moronithonics….) are. Its rock guitars… nah, have you seen “Almost Famous”? If so, you heard Stillwater; what was meant to be a pastiche, a recreation of the past. This however, is Lenny’s secret masterplan… the secret to his success. Remaking 30 year old records and soundtracking adverts for the coffee table generation. This is the sound of the future, according to Lenny Kravitz. If that’s the future, this is laughable. In reality, this is the sound of a retro musician, stuck in his stoic ways, refusing to admit that anything post Hendrix ever took place. There’s only room for one Hendrix in this world… and Lenny Kravitz doesn’t possess a 1000th of Hendrix’s originality or talent. Hendrix was an innovator: Lenny an imitator. Musically, this album is so insubstantial that Kelly Jones will love it, and well… I can’t think of a more damning description than that. It’s 1974, punk has never happened , its the Faces and Hendrix all over again. Its back to the traditional – song writing, rock guitars, radio friendly AOR hell. Lets face it, your dad probably thinks its hip and he’ll probably play in the car. And for God's sake, it makes Dire Straits seem good. And that ain’t a compliment. If you love music, take a hammer, and smash every copy you can find. You’ll be doing the world a favour. This is the exact antithesis of everything music stands for. Its stale, unoriginal, formulaic, repetitive, and shows as much originality and passion as a tribute band. There’s thousands of musicians out there with more originality and passion out there than Lenny. This is nothing more than a self-indulgent, artistic void of turd poured into plastic. Now, Lenny if you don’t mind, Do us a favour: Go away and don’t come back. Ever.